A Momentum-backed activist who came within 350 votes of unseating home secretary Amber Rudd has been chosen again as a Labour candidate. Peter Chowney, who first stood in Hastings and Rye last year, will take on Theresa May’s closest ally again in the next general election. Chowney, leader of Hastings borough council, was selected at the weekend after beating local members Kim Forward, Arran Neathey and Nik Slingsby. 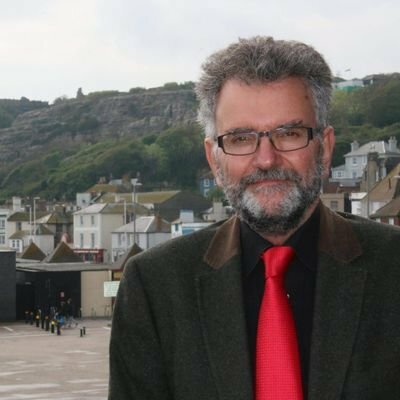 “Hastings and Rye is a constituency I adopted as my home 20 years ago. It was an enormous privilege to stand as Labour’s candidate in the 2017 general election last year,” he said. In one of the shock results of the night, Rudd scraped home in Hastings by just 346 votes. Chowney was one of those who signed Momentum’s controversial statement of political objectives last year. At the time the document was criticised as a “loyalty oath”, prompting accusations that candidates had signed away their independence. Chowney hit back against the claim, however, telling The Guardian his agreement with the 13-point political accord was an expression of support for the party leader. “I’m not a member of Momentum, but they approached me and because I fully support the manifesto and was one of the few Labour council leaders to back Jeremy Corbyn in both his leadership contests, I am happy to sign up. It’s not like I am signing anything in blood,” he said. Saturday’s selection meeting was chaired by former MP Michael Foster.